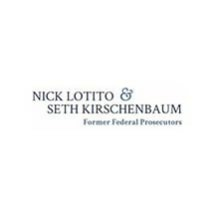 Nick Lotito and Seth Kirschenbaum have developed a reputation for finding solutions for people charged with or being investigated on criminal charges. They provide vigorous representation in cases involving white collar criminal charges, drug crimes, violent crimes and numerous other felonies and misdemeanors. With more than 60 years of combined experience, they have the advocacy skills you need to fight and resolve the charges you face. Both Nick and Seth are former federal prosecutors with experience handling high-level criminal cases. They use their experience, knowledge and trial skills to defend the rights and freedom of people charged with crimes throughout Georgia and other states. Thorough in case preparation and aggressive in court, Nick and Seth work diligently to defend their clients every step of the way. Defending people charged with white collar crimes is a major focus of our practice. We represent people accused of mail and wire fraud, money laundering, tax crimes, bank fraud, antitrust offenses, Medicaid/Medicare fraud, RICO violations, computer crimes, and other serious federal and state crimes. We also have extensive experience in cases involving federal and state drug trafficking charges, exploitation of children charges, and DUI, as well as other crimes. Over the years, we have also represented many young people charged with criminal offenses, often working with our clients, their parents and professional therapists in various areas of expertise to resolve legal problems faced by the young. When you retain our law firm, you will receive strong and effective representation at all stages of the legal process. We care about our clients and that concern is reflected in our commitment to zealously and compassionately represent each individual who places his or her trust in us and seeks our help.